This course is designed according to the approved aromatherapy education standards of The National Association for Holistic Aromatherapy (NAHA). 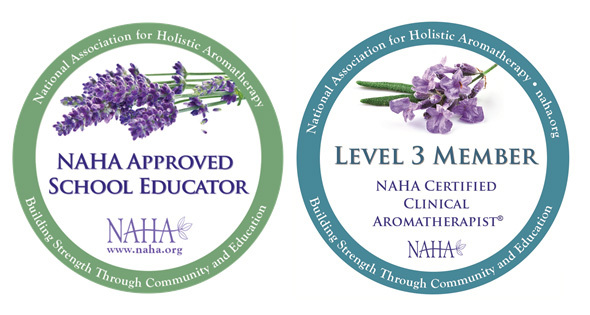 NAHA is a leading aromatherapy organization in the United States with the mission to encourage the development of high standards of education that promote well-trained professional aromatherapy practitioners. To provide students with comprehensive aromatherapy knowledge to apply for the well-being of their lives, family and friends. To train and develop professional aromatherapists who possess an excellent knowledge of aromatherapy with practicum of how to transform the plant essences onto a healing. To teach Aromatherapy as a complete healing art and science with an understanding of the human anatomy, physiology of disease, chemical and botanical profile of essential oils. 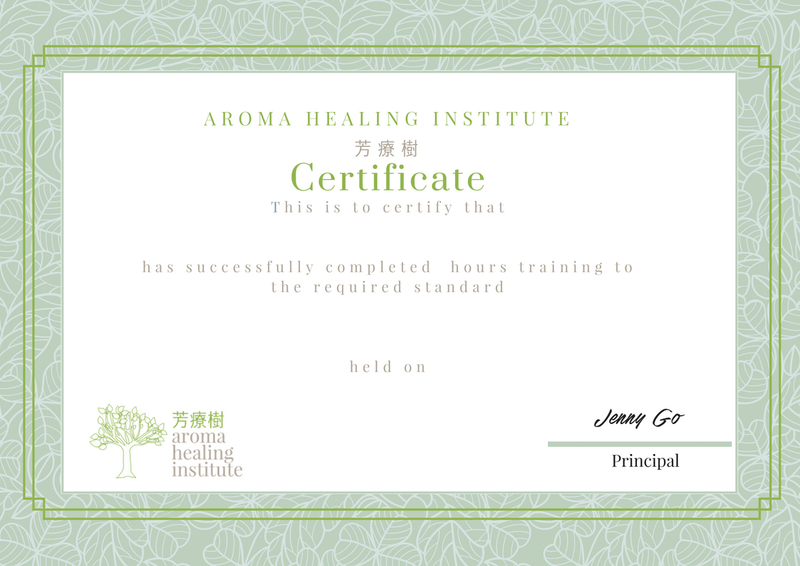 Jenny Go, the principal teacher registered under the International Federation of Aromatherapists (IFA) and the NAHA. Parkson Kwok, a registered Aromatherapist, professional Tarot reader & teacher. 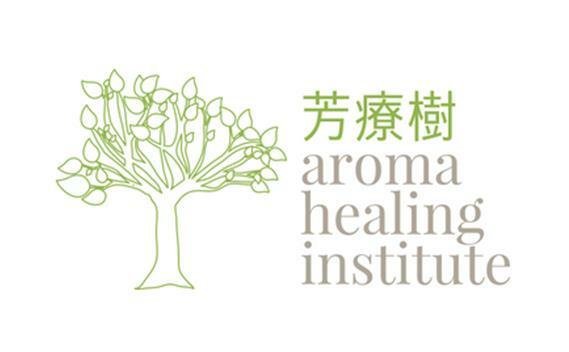 Jenny set up JGO Holistic Aromatherapy & Health School in October 2002 which is the longest established school accredited by the IFA in Hong Kong. She started her teaching of the International accredited Diploma course in Holistic Aromatherapy since then and had trained close to a thousand of professional qualified aromatherapists (IFA and IFPA) up to 2017. Jenny has been practicing aromatherapy for over 15 years to witness the benefits of aromatherapy in improving the physical and psychological health conditions. To disseminate the safe and effective use of aromatherapy, she set up an online training course with Parkson in 2018. Before her career as an aromatherapist, she was an UK and Hong Kong qualified accountant and graduated with an honors degree in Finance with Accounting in London. She is also a certified hypnotherapist, Quantum Touch and Body Harmony certified practitioner. Parkson Kwok is a registered aromatherapist (a professional member of IFA, IFPA & NAHA) and a professional Tarot reader & teacher. He has 20+ years of corporate business experience. Parkson is the founder of The Fragrance Tribe (www.fragrancetribe.com) and he inspires over thousands of urban professionals each year to live more mindful and enlightened lives, using aromatherapy and Tarot as guides. He holds many qualifications and with over 15 years of experience in the metaphysical realm. Students who are not existing health professionals such as: Massage Therapists, Estheticians, Herbalists, Nurses, Physicians, etc. are required to provide proof of completion of Anatomy & Physiology from an accredited institution. Student must complete a 5-10 page research paper (pertaining to an aromatherapy topic). Student must complete a minimum of 5 case studies in addition to the required level 1 case studies for a total minimum of 10. Graduates must submit proof of completion of 10 NAHA approved continuing education hours (CEs) per year or 20 CEs every 2 years in order to remain a Level 2 member in good standing. Examples of NAHA approved CEs include: NAHA Conference, NAHA Webinars (free for members! ), writing articles for the NAHA Journal, electives and continuing education courses taught by a NAHA approved school, volunteer or mentorship time spent in a holistic healing center that utilizes aromatherapy. Copyright © 2018, Top Choice Enterprises Ltd., All Rights Reserved.